We are proud to announce that Waterpoint Owners Association has selected Tinnelly Law Group as their associations’ legal counsel. Located at the water’s edge in the heart of Point Loma, Waterpoint is a limited collection of 40 new upscale mixed-use condominiums developed by ColRich. Waterpoint fronts the shoreline Promenade at Point Loma which is part of a contiguous waterfront pedestrian connector from Point Loma all the way to downtown San Diego. Residents enjoy breathtaking bay and downtown skyline views, large outdoor spaces, and al fresco balconies. 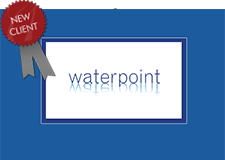 Our HOA attorneys and staff look forward to working with Waterpoint’s Board and management.